White, a Democrat who represents Ward 2, said he bought a home in Fairfield and plans to move there by the first of the year, so he will resign effective Dec. 31. WATERVILLE — City Councilor Nathaniel White, D-Ward 2, announced Tuesday that he will resign from the council Dec. 31 because he is moving to Fairfield, where he has bought a home. White became a councilor in 2015 and was re-elected in November 2017. His current term ends in 2021. White, who works in the access management department at Inland Hospital and is a part-time Winslow call firefighter, read aloud a letter at Tuesday’s council meeting in which he said that, during his tenure, he experienced his fair share of budget issues, debates, angry voicemails and emails; and despite the number of people he had the opportunity to sit next to on the council, he somehow always was viewed as someone’s puppet. The city charter spells out how council vacancies may be filled. The council at a future meeting would consider voting to accept White’s resignation, declare a vacancy in the seat and then direct the city clerk about what to do next, such as advertise for the position. The council then could opt to interview candidates and appoint a person or decide to continue advertising for the position. About 40 people turned out for Tuesday’s council meeting, held in the Chace Community Forum at Bill & Joan Alfond Main Street Commons downtown. 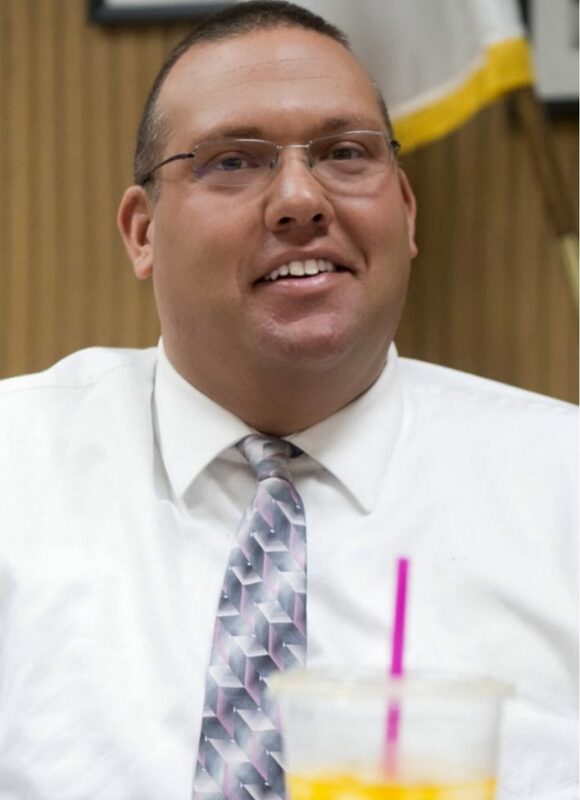 White said in his resignation letter that he enjoys working in politics and loves the city. His goal as a councilor, he said, was to be respectful of everyone, regardless of his or her views, and he prides himself on being able to listen to other people’s views and engage in respectful debate without being negative. “The city of Waterville is growing and revitalizing, and I have been extremely proud to be a part of that the last four years,” he said. With White’s exit at the end of the month, the council will be made up of all new councilors, except two — Sydney Mayhew, R-Ward 4, and Winifred Tate, D-Ward 6. New councilors Margaret Smith, D-Ward 3, and Jay Coelho, D-Ward 5, elected in November, took their seats Tuesday night; and councilors-elect Mike Morris, D-Ward 1, and Erik Thomas, D-Ward 7, will join the council next month. Thomas is a former city councilor who previously represented Ward 4. Meanwhile, White said that while his political career in Waterville will end Dec. 31, he does not plan to stay out of politics. He wished new councilors the best of luck and urged those who lost in the November election not to give up. His advice to the new councilors and newly elected officials elsewhere is to listen to constituents, regardless of political party, listen to fellow elected officials and be respectful.